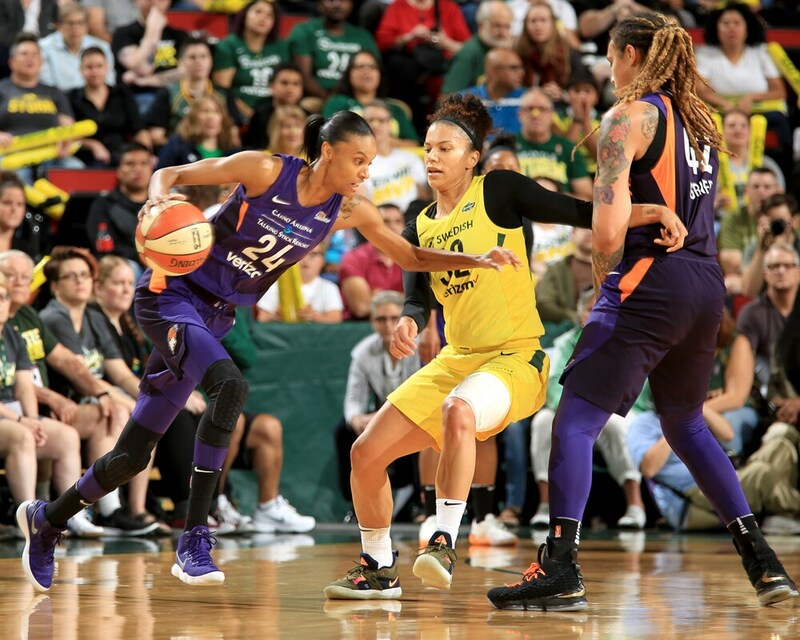 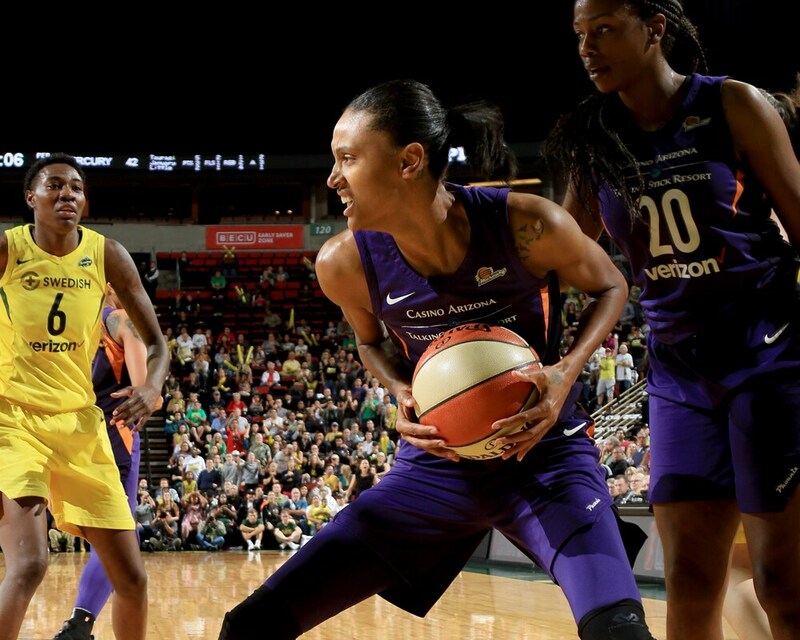 DeWanna Bonner #24 of the Phoenix Mercury handles the ball against the Seattle Storm. 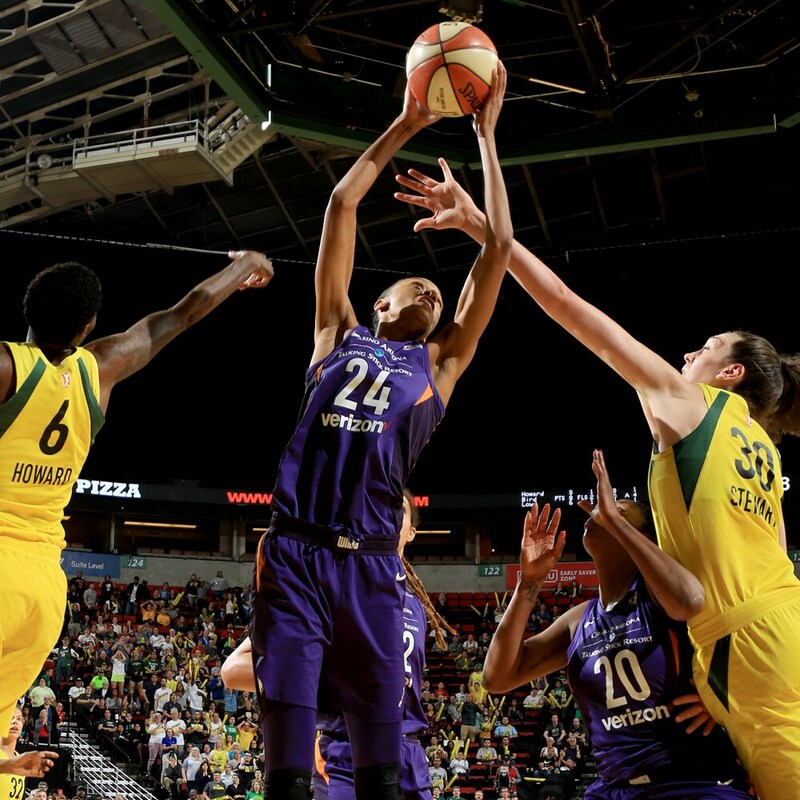 Brittney Griner #42 of the Phoenix Mercury handles the ball against the Seattle Storm. 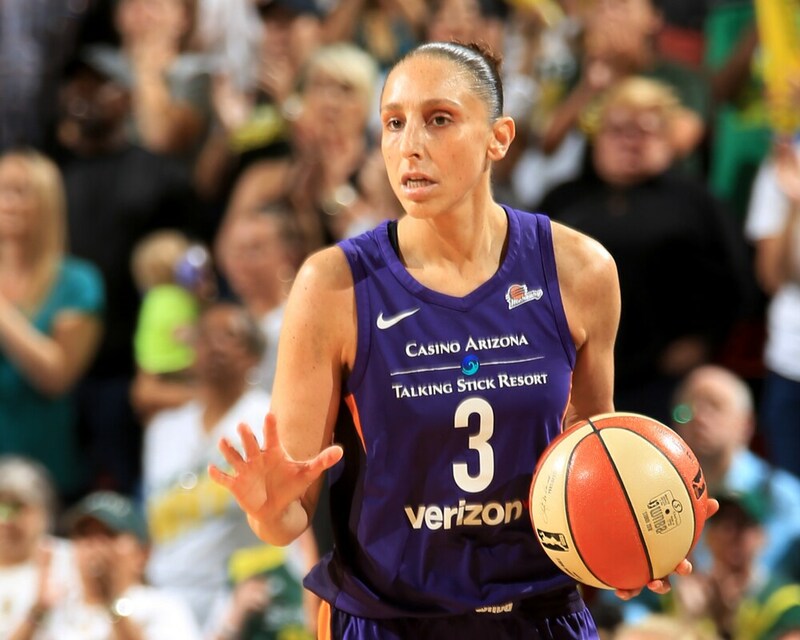 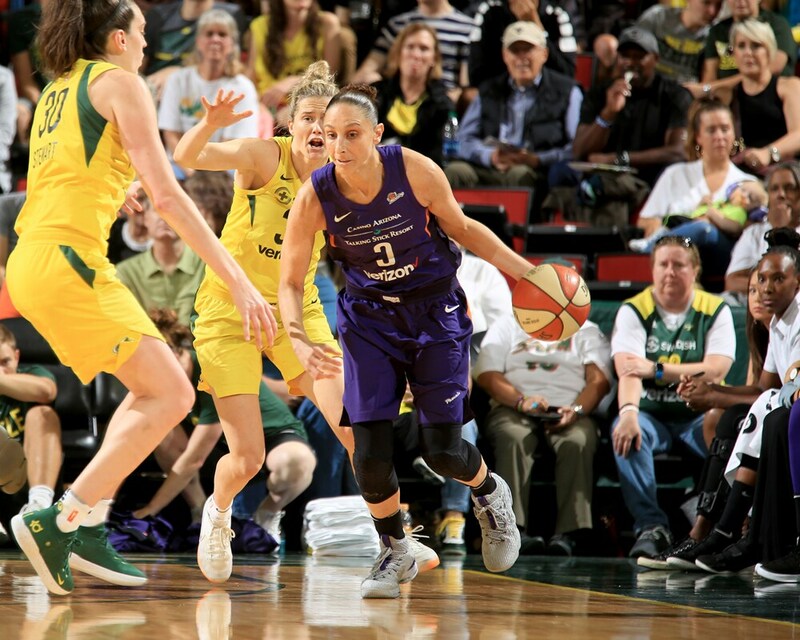 Diana Taurasi #3 of the Phoenix Mercury handles the ball against the Seattle Storm. 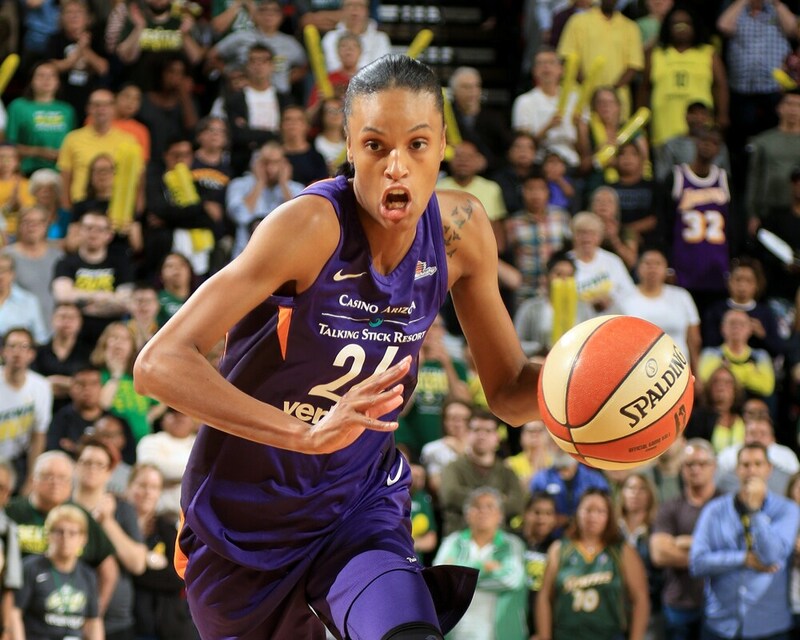 DeWanna Bonner #24 of the Phoenix Mercury grabs the rebound against the Seattle Storm. 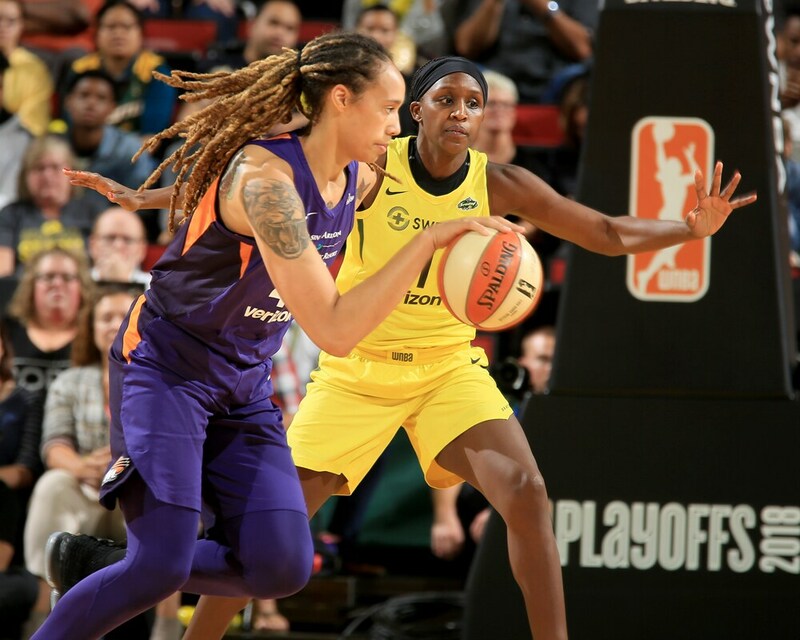 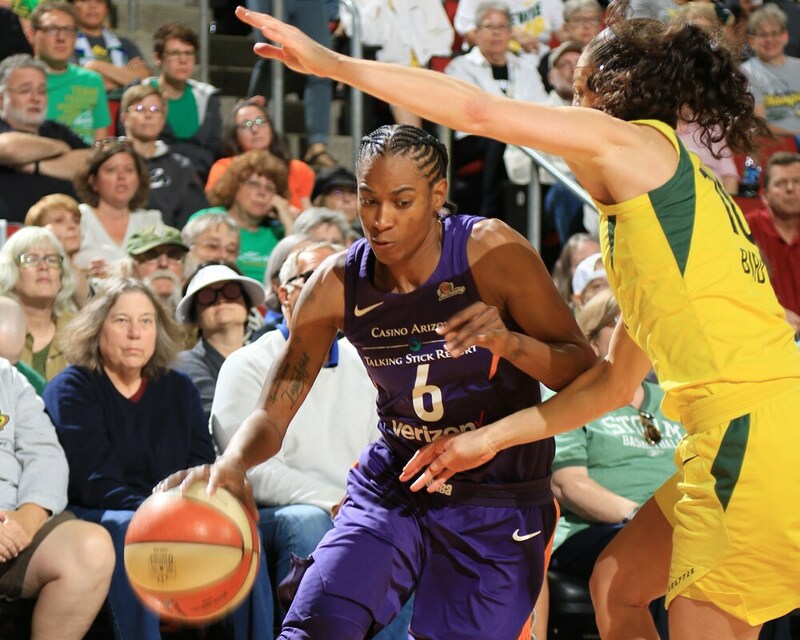 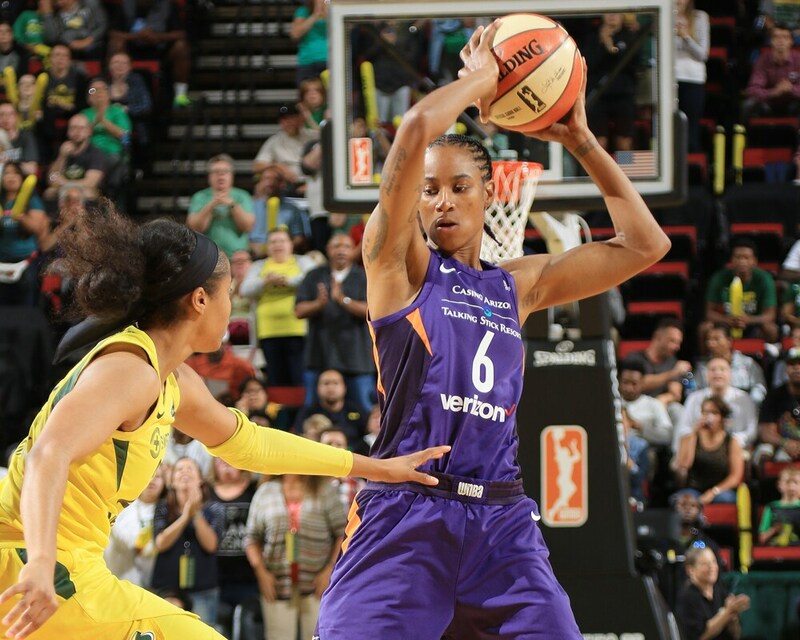 Yvonne Turner #6 of the Phoenix Mercury handles the ball against the Seattle Storm. 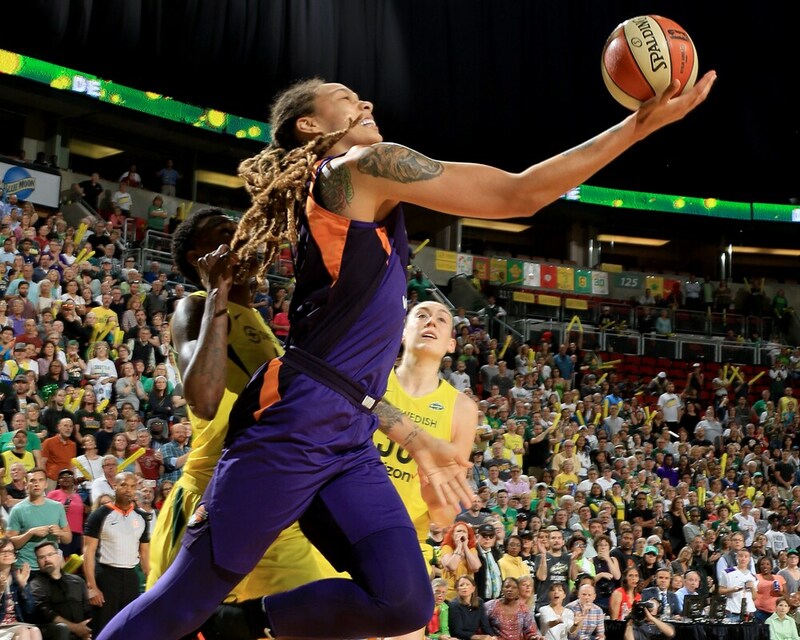 Brittney Griner #42 of the Phoenix Mercury goes to the basket against the Seattle Storm. 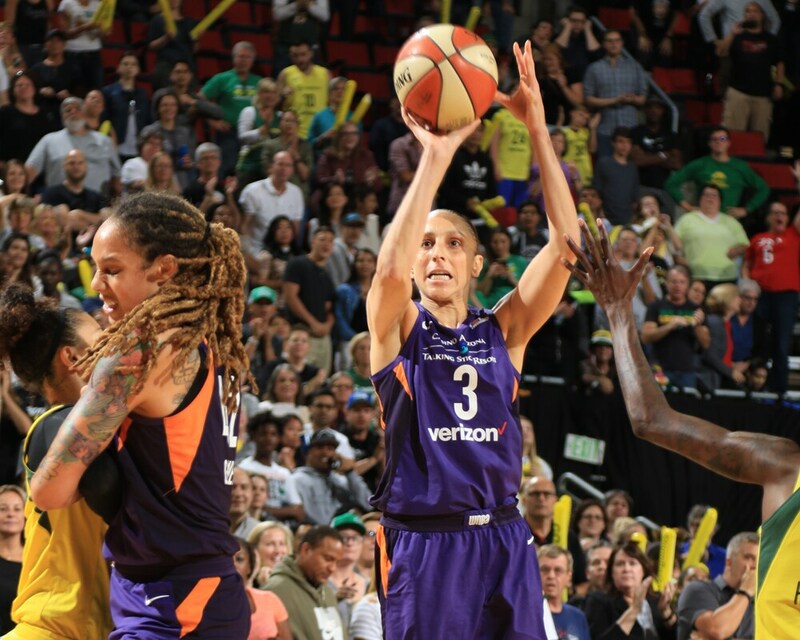 Diana Taurasi #3 of the Phoenix Mercury shoots the ball against the Seattle Storm. 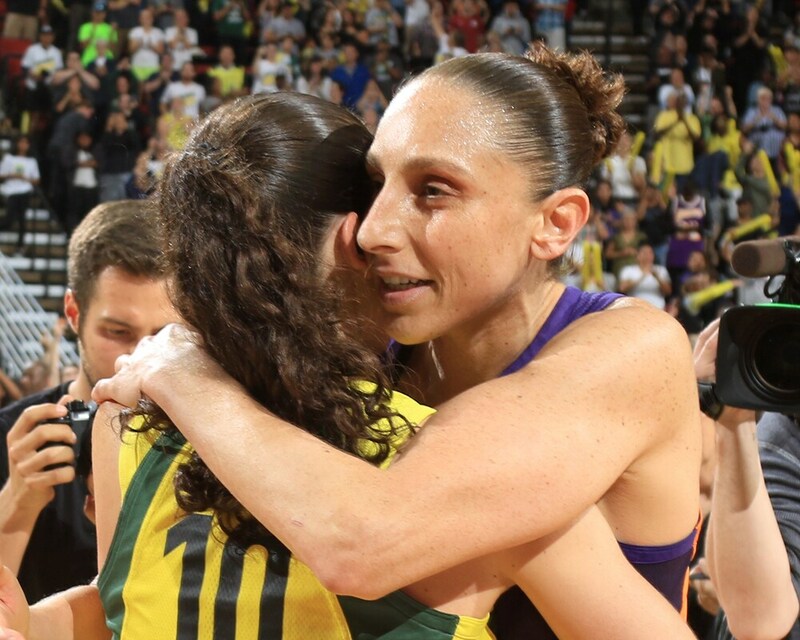 Sue Bird #10 of the Seattle Storm and Diana Taurasi #3 of the Phoenix Mercury hug after the game during Game Five of the 2018 Conference Finals.